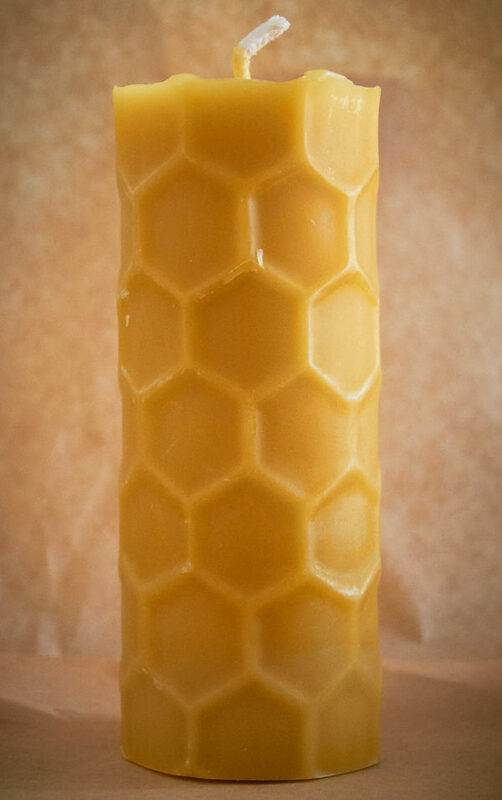 This honeycomb pattern candle is made with nothing other than pure beeswax. Its 150mmx57mm and burns for well over 8 hours. Size is 150mm x 57mm and burns for well over 8 hours. Although there are many different types of waxes, all can be fundamentally broken down into three categories: waxes derived from animals; waxes from plants; and those that are petroleum based. The most common and important plant wax is carnauba wax, a relatively hard substance obtained from the Brazilian palm Copernicia prunifera. This is used extensively in confectionary, as a coating for foods and pharmaceuticals, and as a polish or waterproofing agent. It is the principal ingredient in surfboard wax. Soy wax is cheap to produce and is commonly used in candle making, however this may lead to a potential problem. Often soy wax is produced from genetically-modified, monoculture crops, which are subjected to a variety of chemical sprays. Fungicides and pesticides may ultimately end up in the finished product, so in theory you could be burning these toxins in your home! Paraffin wax is the most widespread form of petroleum-based wax. It was first created in the 1800s and is economical to produce, with a slight bluish-white colouration. Paraffin wax can also be used to make cheap candles, as well as products such as baking paper and as a lubricant for bullets. Most people are unaware that every single paraffin wax candle contains at least seven documented toxins – two of which are carcinogenic when burnt. The soot and fumes released by burning paraffin wax are similar to those produced from a diesel engine and will fill your home with toxic chemicals that can be as dangerous as second-hand cigarette smoke. Lanolin, also referred to as ‘wool wax’ or ‘wool grease’, is a wax secreted by the sebaceous glands of wool-bearing animals, typically sheep. It is a common ingredient in cosmetics, as well as some lubricants and polishes. 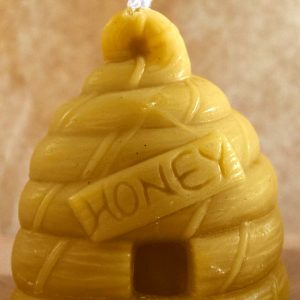 There is no doubt, however, that beeswax is the important wax sourced from animals, with a long and rich history of human usage. Beeswax continues to be a popular constituent of shoe and furniture polishes, as well as being of importance in cosmetics, and in the maintenance of percussion and woodwind instruments. One of the earliest recorded human uses of beeswax was as a crude form of tooth filling in the Neolithic period. 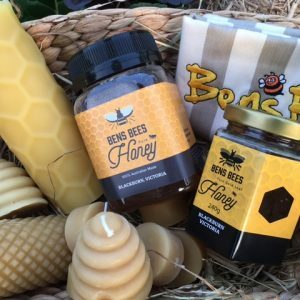 The ancient Egyptians are believed to have been the first civilisation to have harvested honey and wax from bees, with the first beeswax candles appearing in about 40 BC. These contained wicks fashioned from rushes; it was not until many centuries later that cotton wicks were introduced. 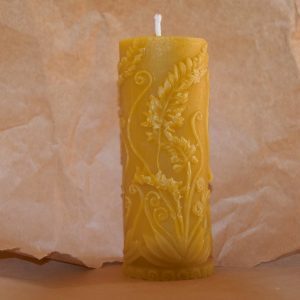 Although relatively expensive, beeswax candles quickly gained in popularity, since cheaper ones made from tallow, or animal fat, did not burn well and created an unpleasant smell. In fact, beeswax candles were once required exclusively by the Roman Catholic Church. Beeswax releases negative ions as it burns. Pollen, dust, dirt and other pollutants all carry a positive charge, and this allows them to remain suspended in the air. 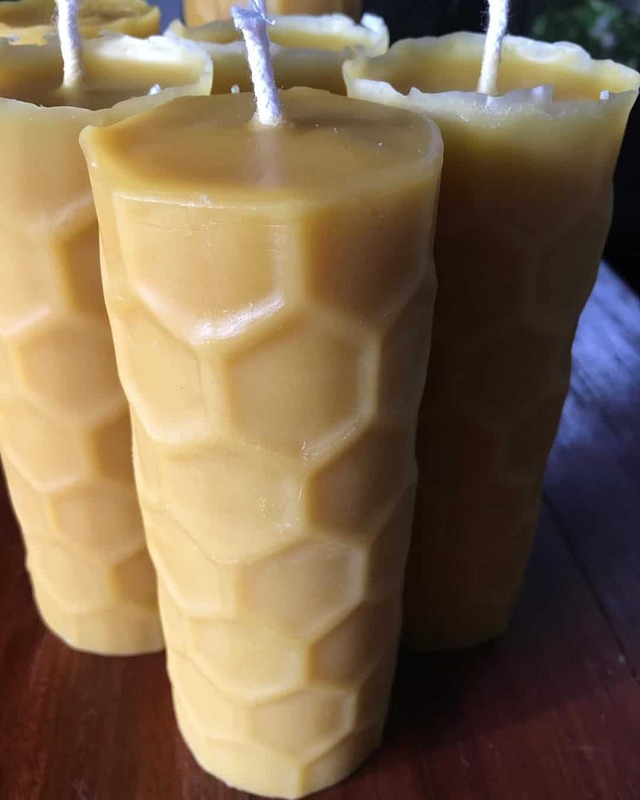 The negative ions that emanate from burning beeswax neutralise the positive charge on airborne contaminants and pollutants, causing them to be sucked back into the burning candle or fall to the ground, and consequently assisting to detoxify the air. Many air purifiers and water filters ulitise this negative ion technology.